Named after the Icelandic word for “unique” – Einstök Brewery is located within the fishing port of Akureyi, 60 miles south of the Arctic Circle. Boasting some of the Earth’s purest water, having flowed from rain and prehistoric glaciers through the Hlíðarfjall Mountain and through ancient lava fields, thus allowing the brewery to craft some truly brilliant beers. 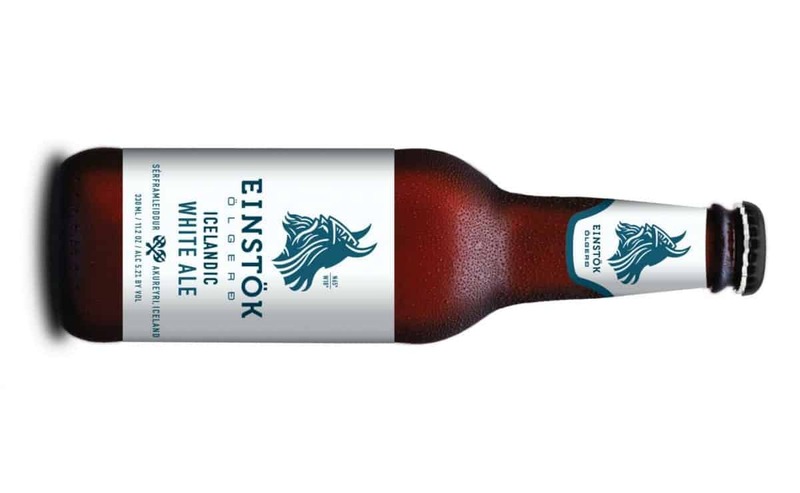 Along with their Icelandic Pale Ale, Einstök’s White Ale has become very popular in Britain in recent months, set up with the intention of creating the best white ale that the brewers have ever tasted. Brewed using the complex witbier flavours and the pure Icelandic water, the straw/blonde body is opaque with visible carbonation and a white head that’s quick to dissipate. On the nose there are notes of orange peel, teamed with spice (most prominently coriander seed) and wheat, which all continue in to the taste. Although a little unexcitingly harmonious, the balance is exceptional, boasting some fresh fruitiness, spiciness, a touch of honey sweetness, and a very slight bitterness that leads into a clean, refreshing finish. An overall remarkably pleasant beer, light and ideal for the summer, but exciting enough to make the purchase of just one bottle a huge disappointment. Further information on Einstök Brewery, and their distributors, can be found at einstokbeer.com.